Compact and lightweight, the Bushcraft Emergency Sleeping Bag is ideal as a shield against the elements or as a waterproof outer layer for a sleeping bag. 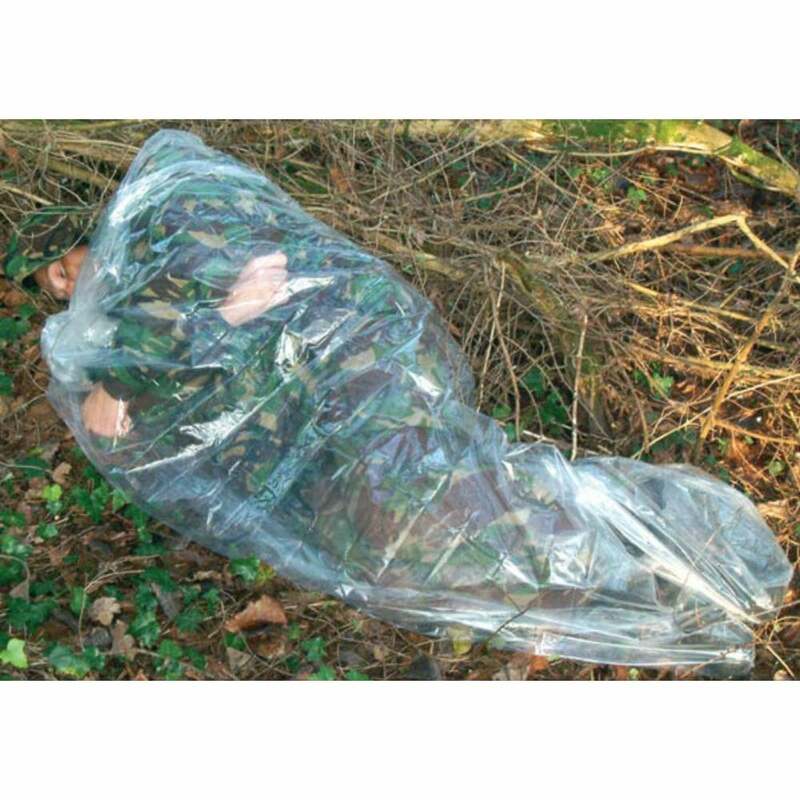 A waterproof polythene bag designed to be used in two circumstances. A waterproof outer layer for a conventional sleeping bag, thus providing effective cover. Perfect protection in case of emergency!